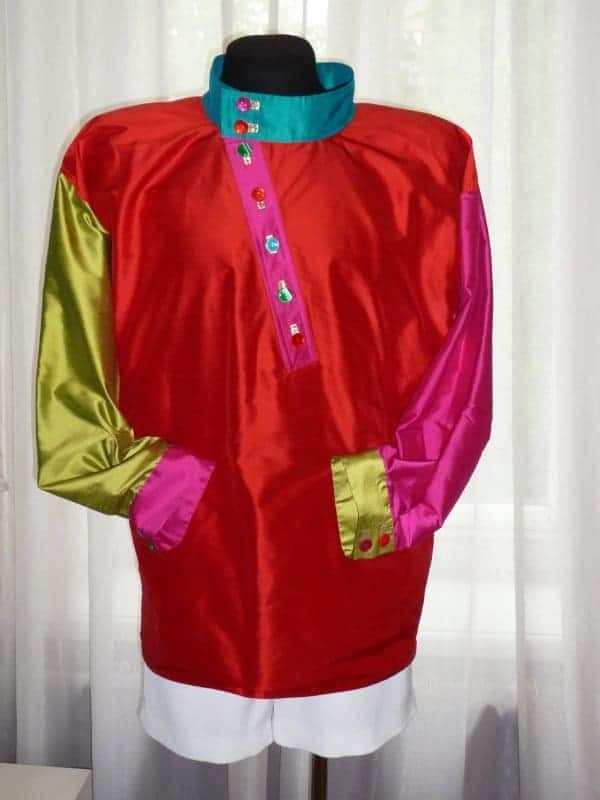 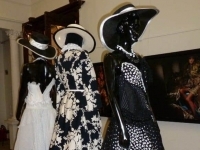 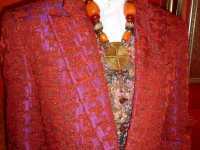 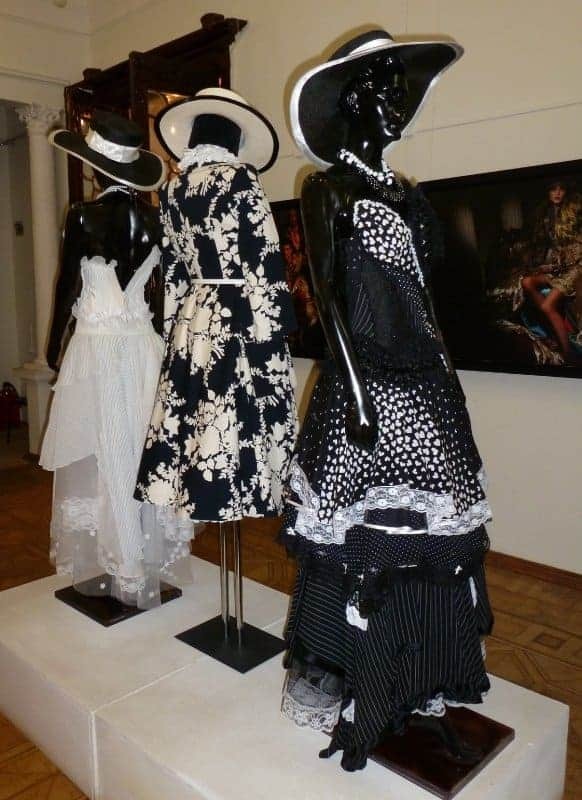 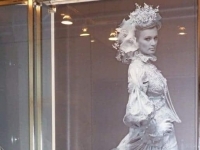 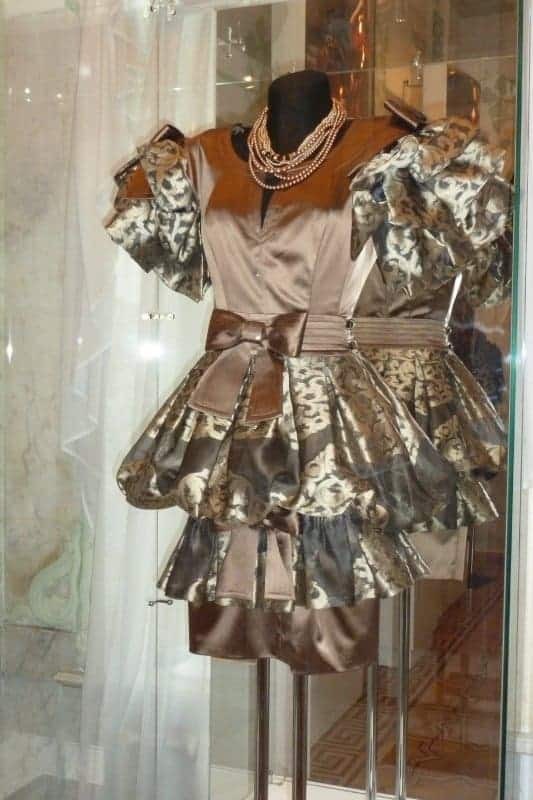 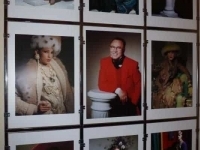 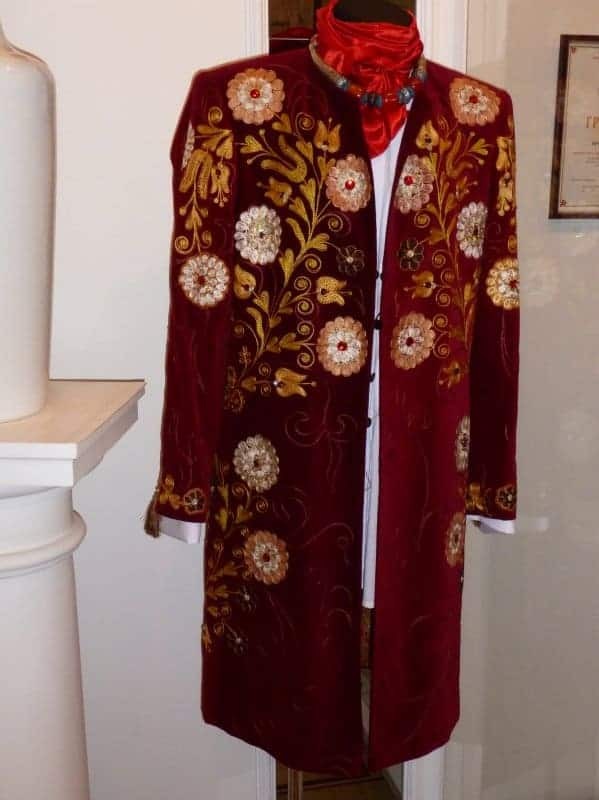 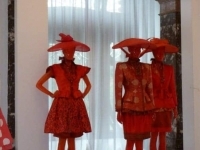 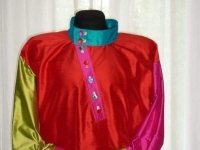 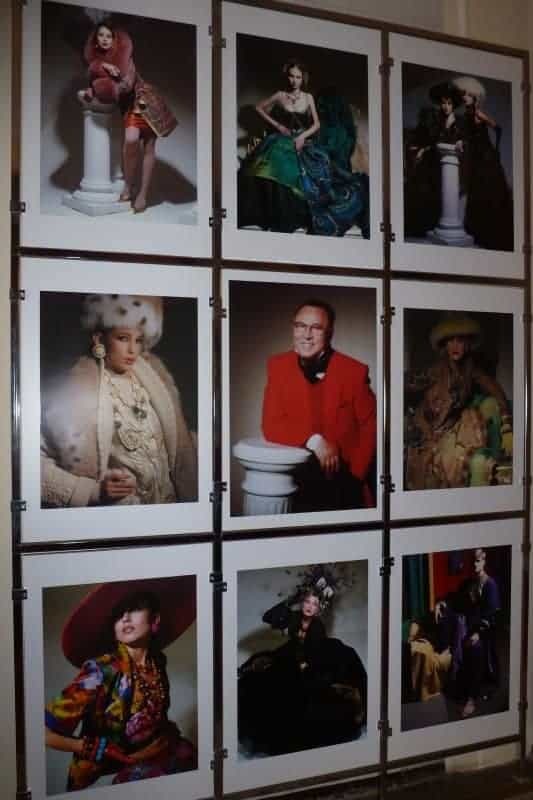 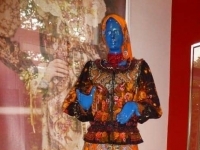 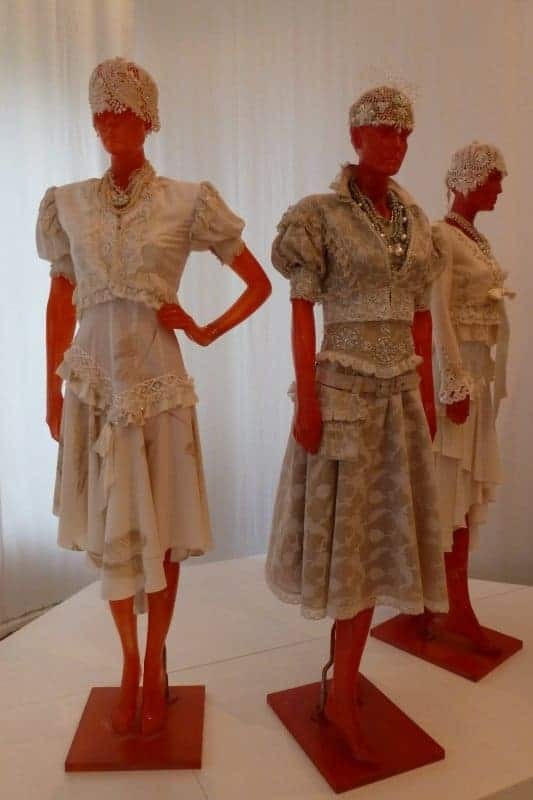 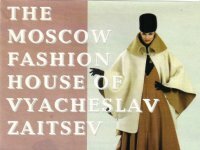 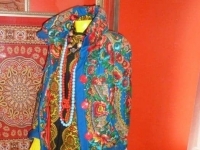 Part of the Museum of Printed Cotton in Ivanovo is currently given over to a display about Vyacheslav (Slava) Zaitsev, who has been an institution on the Russian fashion scene for decades. 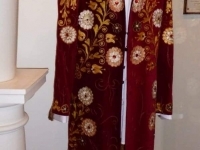 Born in 1938, he studied at the University of Chemistry and Technology in Ivanovo in the 1950s. 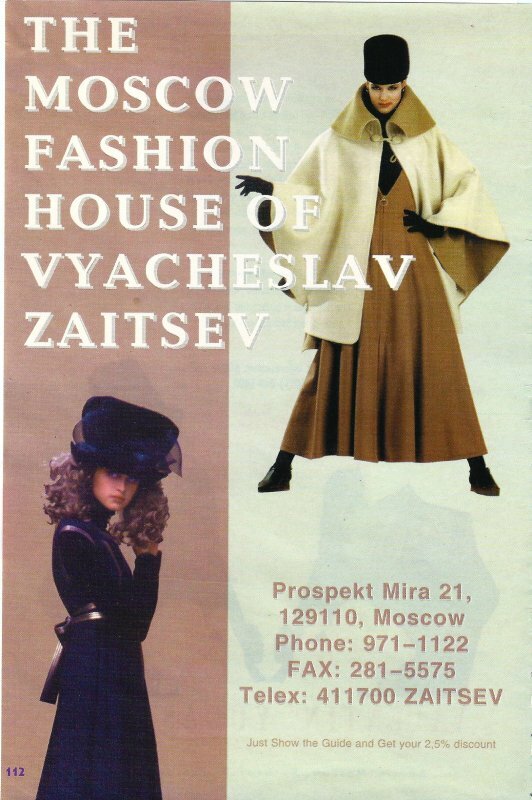 I remember someone pointing out his fashion house, Dom Modi, to me when I was in Moscow in 1987. 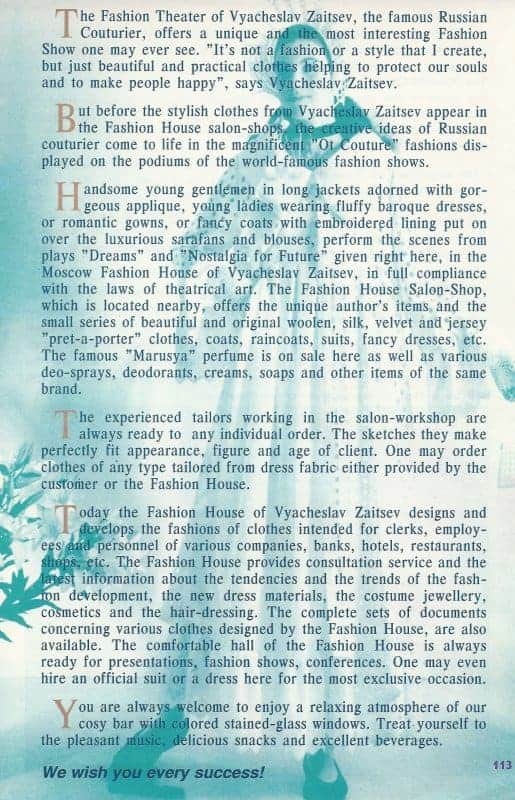 Regular catwalk shows were held there. 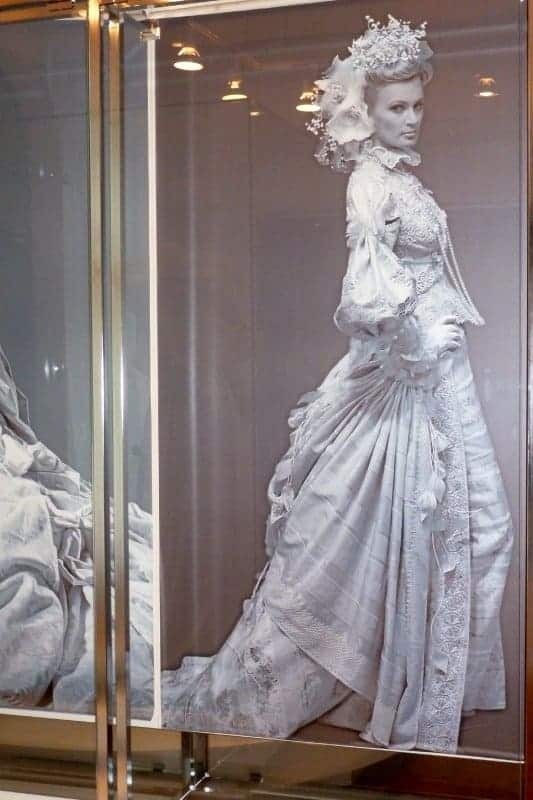 I’m annoyed with myself that I never went inside to have a look. 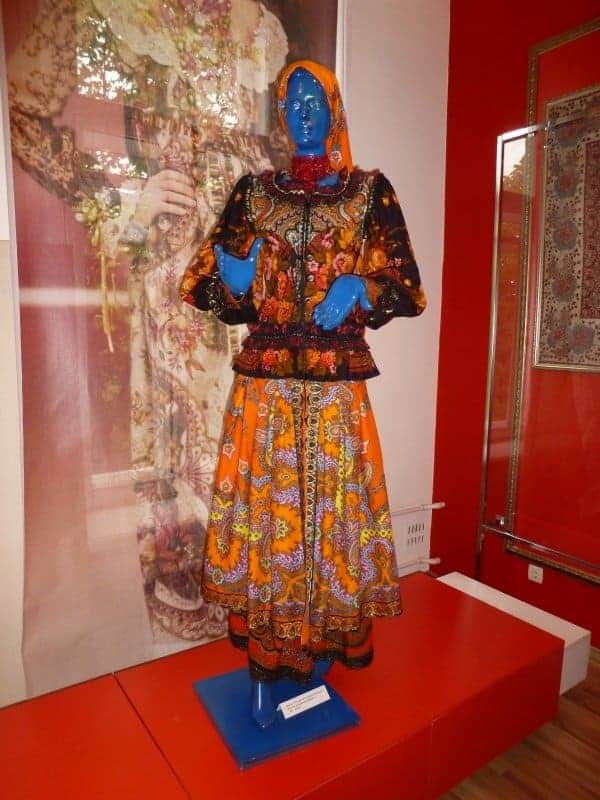 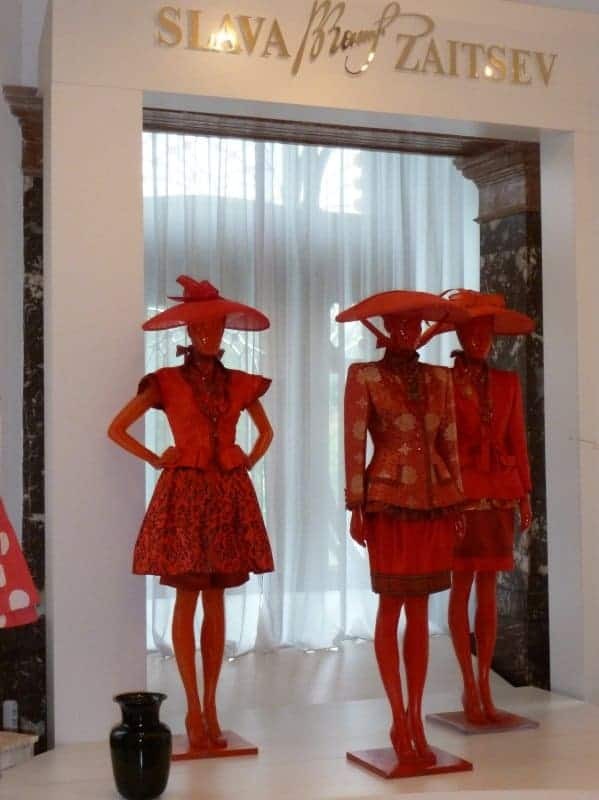 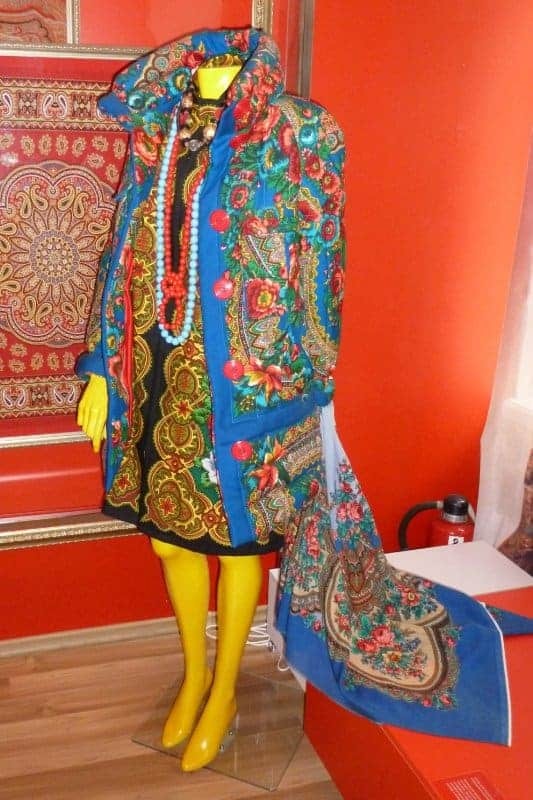 But that same year I did see a couple of his designs at the All-Russia Museum of Decorative, Applied and Folk Art, in an exhibition called ‘Folk Traditions and Contemporary Fashion Design’. 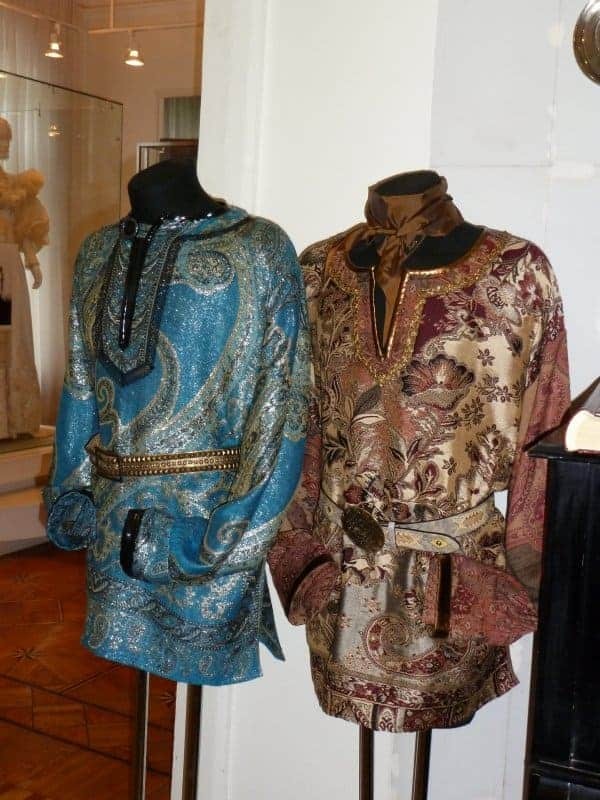 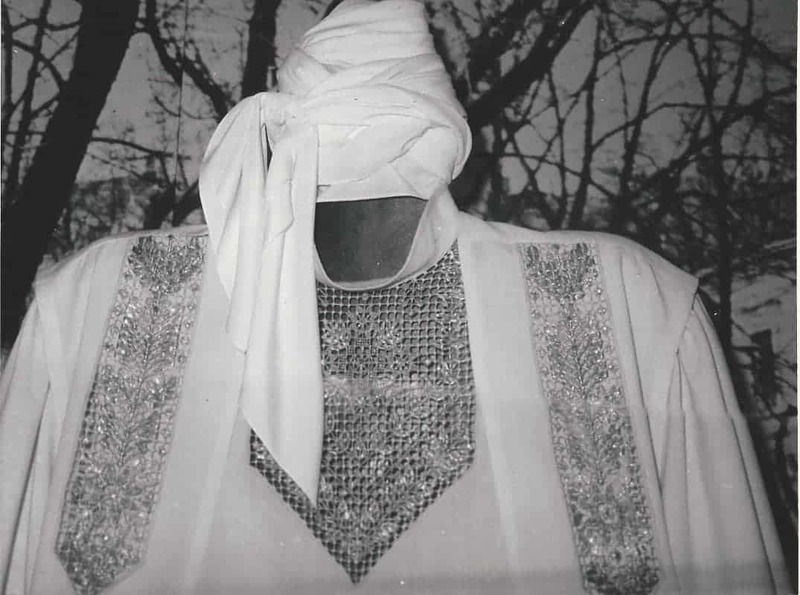 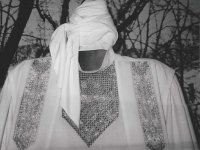 His outfits consisted of several layers of garments cut straight and loose, with rich embroidery worked in gold thread on a stark background of either black or white woollen fabric. 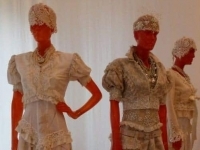 Zaitsev recently showed his latest collection in New York. 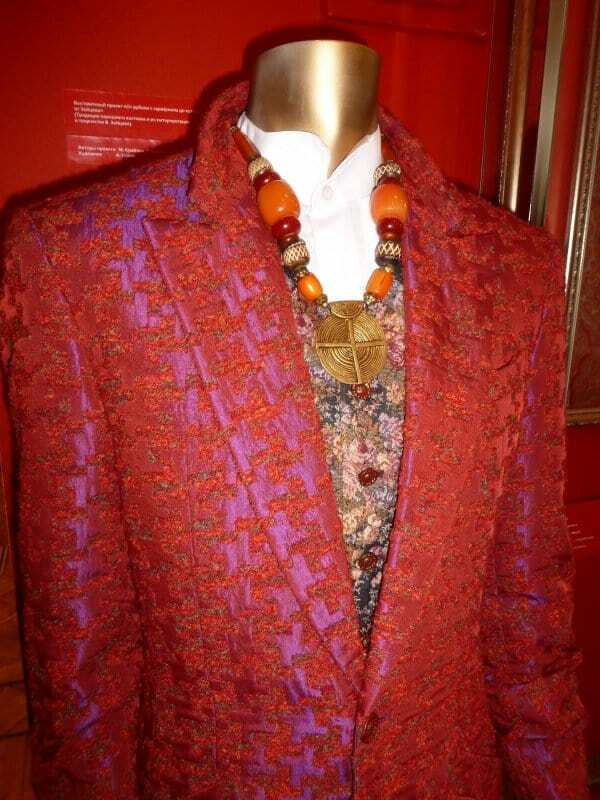 As usual, he showed up wearing a very flamboyant jacket. 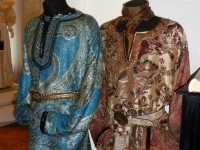 His own website, in Russian, shows lots of striking designs from recent years.